Help us Capture the love and the memories with this wood wedding sign. This sign measures approximately 14"x 7" and can stand alone on its own. 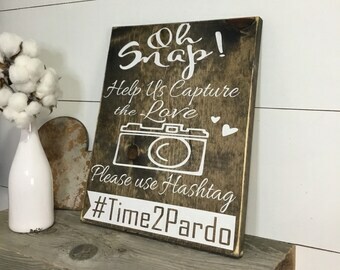 As a courtesy for longer hashtags we will make a wider board 14”x 11” at no extra charge. 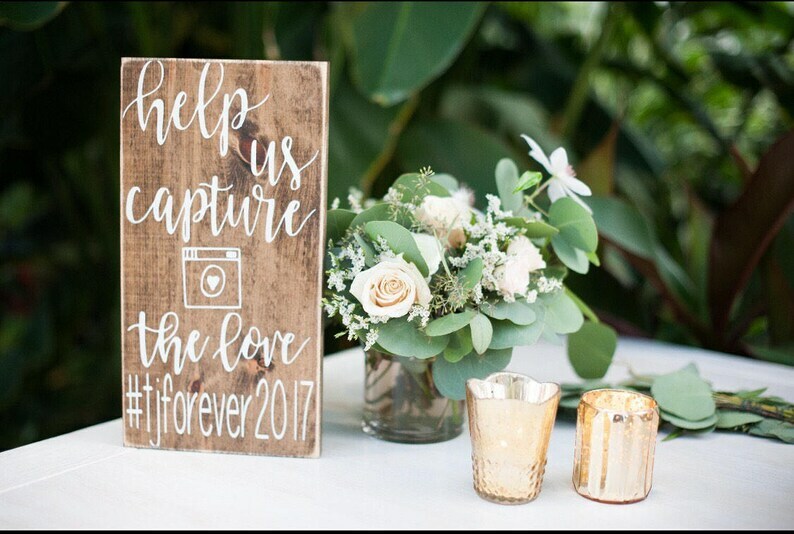 A perfect reminder way for guests to use your custom hashtag and share your beautiful wedding on social media. Each piece is hand selected and hand cut by me. Sometimes the wood will have knots or splits ... this should be considered as part of the charm and character of the piece that matches our rustic style and not a defect.